A lot has happened in our country in the last few weeks, and overwhelmingly now more than ever, I really thing the message should be to love more. We can get wrapped up in the violence, become afraid of what it means for our future children and our nation’s youth, but at the end of the day, the only thing we can really do is teach love. If we love each other more, respect each other more, teach each other better, be more accepting, at the end of the day, we can worry less. The same goes for the rulings of the Supreme Court. Personally, I think it is great that no matter who you love, you can get the same rights afforded to you that any married couple gets. 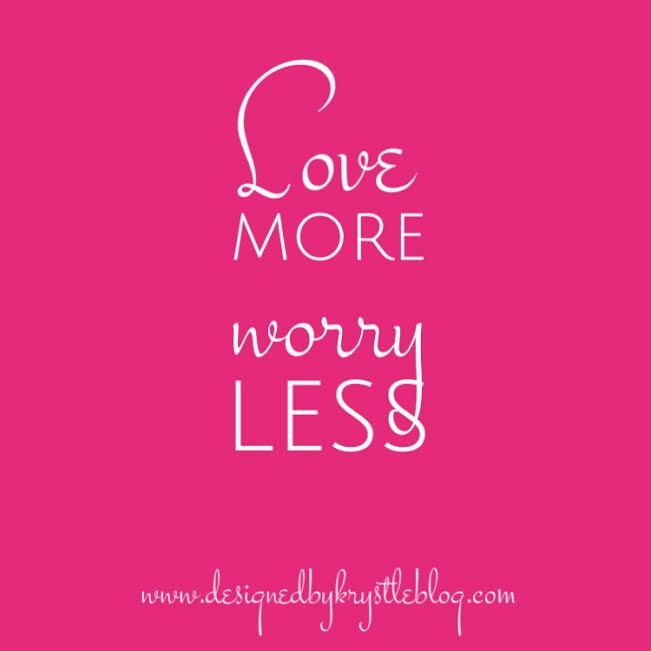 Again, it’s all about loving more so that at the end of the day we all can sleep a little easier and worry a bit less. This past weekend, P & I went to go see The Jersey Boys on Broadway, we had a really nice dinner, and despite the drenched state of our clothing by the time we got home, we had a good time just spending time together. Even building in a little date night once in a while is about loving more. After the last few weeks, and such a great weekend, my heart is full and I hope yours is too.